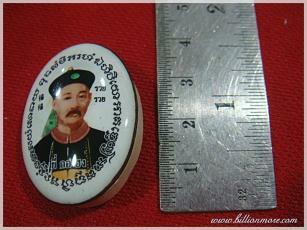 **LP Key is a well-known guru monk in Surin Province. 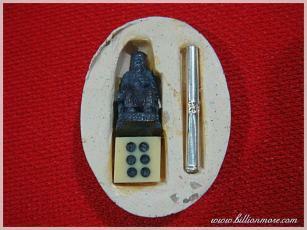 He has made many well-known amulets. Proceeds from every collection always go to the temple on development and restoration. So, this is a good chance to worship a sacred amulet blessed by LP Key that you can make merit at the same time. Do not miss to worship! Features: The back is embedded with Cai Shen amulet, silver Takrut and a die for luckiness. **Power: Yee Go Hong is the first Chinese man who established lottery in Thailand. When he was alive, he built his own gambling house and he always won. He was also generous. After he died, his spirit was so powerful that people built the shrine for him. Nowadays, people believe Yee Go Hong spirit will help his every worshiper lucky especially gambling and lottery. Moreover, worshiper can pray to Yee Go Hong for good business. Yee Go Hong was a millionaire. 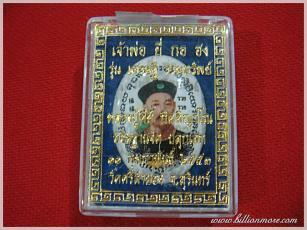 He was born in Thailand in the reign of King Rama the Fourth. His mother was Thai, but his father was Chinese. He ran business in Thailand and his business was very successful. Soon, he became a millionaire. He had a lot of business. The outstanding one of his business was opening illegal gambling house. Yee Go Hong used to study magic. He used his magic with his gambling house, so he always won and no one could cheat him. Yee Go Hong was not a stingy millionaire. He was generous. He liked to help poor people. He established a foundation to help people. Yee Go Hong died in C.E. 1936. The government pulled down Yee Go Hong’s house to build Plubplachai Police Station, Plubplachai District, Bangkok. When the police station was finished, the government built Yee Go Hong Shrine to honor him at the fourth floor, Plubplachai Police Station. Today, people come to pay respect to Yee Go Hong every day. They pray to Yee Go Hong statue for lottery, gambling, business and others. Wonderfully, most people get what they wish. Ceremony: LP Key properly blessed this amulet. LP Key Gitiyano (an abbot of Wat SeeLum Yong, Surin Province) was born on the 24th May 1928 C.E. This year 2014 C.E., he is 86 years old. LP Key got ordained as a Buddhist monk at age 21 at Wat PetBuRi, Surin Province. LP Key is a good monk who many Buddhists admire and respect. He always has mercy on everyone. He has been an expert in concentration of mindfulness in Buddhism way. LP Key has ever been on a pilgrimage for mysticism together with contemporary monks in the mountain, Thailand for years. LP Key also understands Khmer magic. 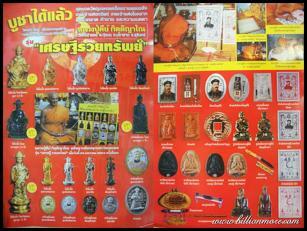 He has built many amulet collections in order to make money to develop and restore his temple. 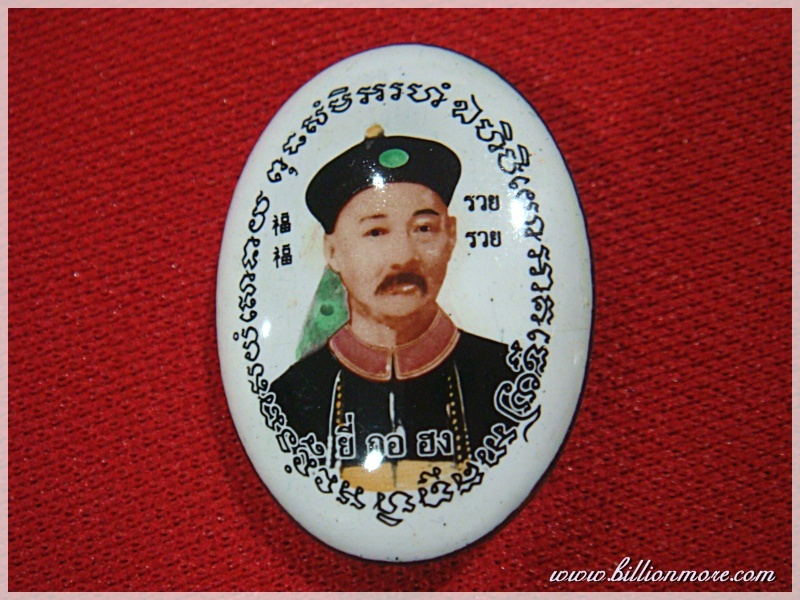 With holiness and real results, his amulets are popular among Thai worshipers. Today, LP Key is one of Thailand’s top guru monks.